I just added several examples. The "[login to view URL]" is close to what I want. Give me some good mountains such as in the other example pics I added and tie it all together. 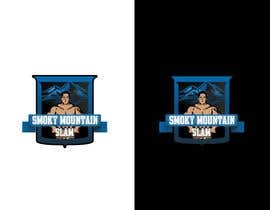 I want the "[login to view URL]" silhouettes of the wrestlers with mountain landscape (rounded caps not sharp peaks on top of mountains). 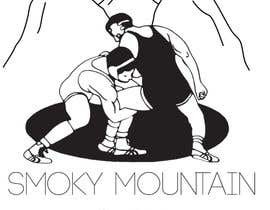 Use the mat (circle the wrestlers are standing on in "[login to view URL]") and tie it into the foot of the mountains. Use nice circle with banner if you need to but I want it surrounded by something like that such as a crest. Something to enclose the sides of the mountains to tie it together. 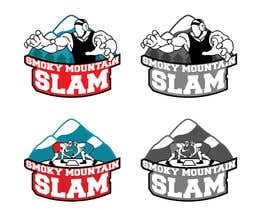 If you can make the sides of the mountains tie into the circle/mat the wrestlers are standing on that would work. I need someone talented with line-art in illustrator. Not just piecing clip art together. Thanks to all entries so far but please use the latest instructions. Ok here's what I want... 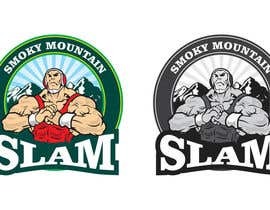 The logo/arwork needs to have a mountain landscape in the background. 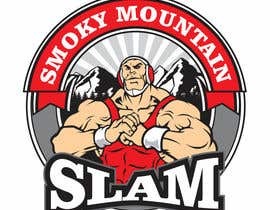 I want a scholastic wrestler similar to the uploaded image to be part of the mountains which would be in the background. This event is for young adults so if you could make the guy not look quite as mean as the included image... that would be great. He needs to look intimidating but not upset. 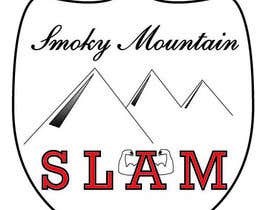 I have included information below about the type of wrestling and about the Smoky Mountains. I want the guy to come out of the mountains... use your artistic imagination... make it fun!! 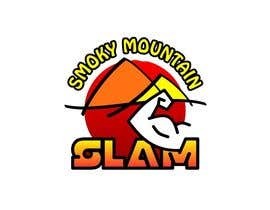 I envision the "Smoky Mountain" text to go above, and the word "SLAM" to be a big impact at the bottom. 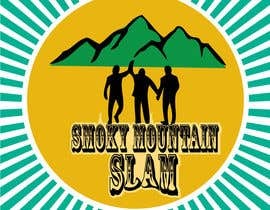 You can use capital letters with Smoky Mountain if you like. This artwork will be used as a center point for the website and will also be used in marketing materials and on t-shirts. Please create in Adobe Illustrator leaving easily customized layers. Please keep it to 3 colors. I want it to have a lot of impact. You can use gradients but please make where I can remove gradients and use solid colors for screen printing such as tshirts. Another note: If you have a good understanding of the event and what I want, then feel free to go outside these directions. I don't want to limit your artistic imagination. These instructions are only what I have envisioned. 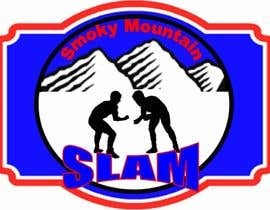 The event will be a coaching/training event for young scholastic wrestlers ages 5-18. The coaches will consist of former national championship athletes. Please keep in mind this is not wrestling in the form of entertainment ([login to view URL] - not this), but actual competition (such as [login to view URL] and [login to view URL] ). Ideally the artwork should contain headgear/protection on the individual such as in the included image. Don't need to emphasize the headgear just as long as it is somewhat noticeable. 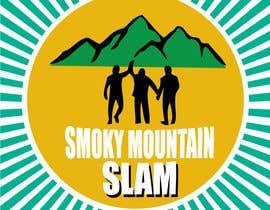 The event will be hosted in the Great Smoky Mountains. The name "Smoky" comes from the natural fog that often hangs over the range and presents as large smoke plumes from a distance. 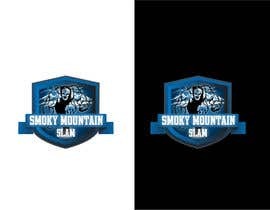 [login to view URL] Now I added this info so you would understand that the Smoky Mountains do not have sharp rocky peaks but a smoother crest. Maybe a little snow on top but not ice. Have fun and may the best artwork win!! 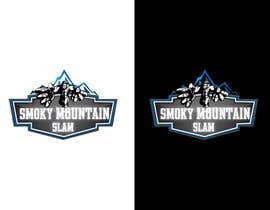 Kindly rate my logo sample (#17) designed for Smoky Mountain Slam. I'd be glad to help if you need any more further assistance on your project.